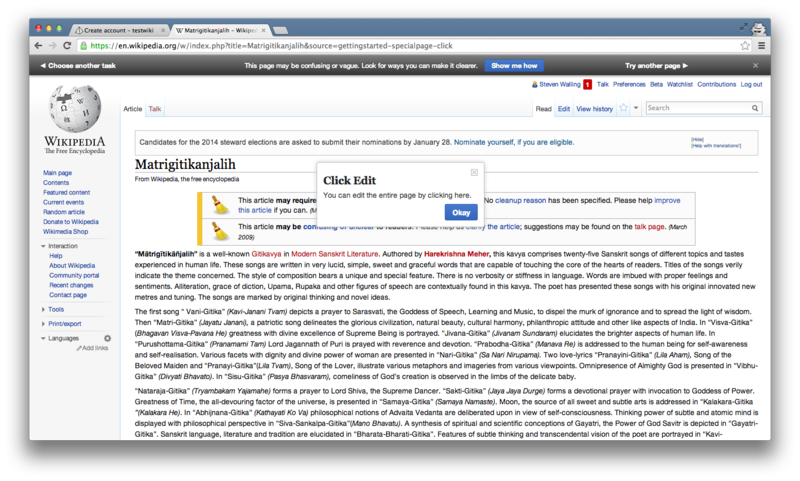 Detection of the 'edit' tab and section edit links is broken currently, probably due to https://gerrit.wikimedia.org/r/#/c/97701/ change in VE. bzimport set Reference to bz60111. Specifically, VE's isAvailable used to imply that the preference was also enabled, meaning the VE edit tab would be there. Now, isAvailable doesn't say anything about the preference. So if you have VE disabled, the tab will be missing, so it can't attach to it, and shows in the center like that.